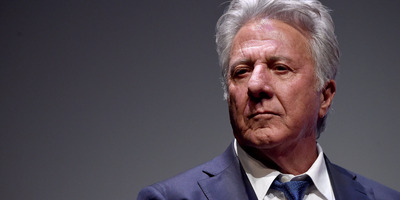 Actress Kathryn Rossetter has accused Dustin Hoffman of groping her while the two acted in a Broadway revival of “Death of a Salesman” in 1983. Rossetter said Hoffman asked her for a back rub which led to him groping her off stage in the middle of almost every show. On the heels of two women accusing actor Dustin Hoffman of sexual harassment, a third has now written a guest column in The Hollywood Reporter. On Friday, the trade ran the account of actress Kathryn Rossetter, who worked alongside Hoffman in the Broadway revival production of “Death of a Salesman” in 1983 as well as the TV movie. Hoffman played the lead Willy Loman. Rossetter alleges in the column that after Hoffman went out of his way to campaign for Rossetter to get the role of Willy Loman’s mistress, “the Woman in Boston,” he began to physically violate her throughout the production. She says it started during the first week of rehearsals when Hoffman invited Rossetter to his hotel room. There he asked her to give him a back rub. He took off his shirt, according to Rossetter, and she gave him what she called a “very lame rub” until the hotel maid walked in on them. “That was the beginning of what was to become a horrific, demoralising and abusive experience at the hands (literally) of one of my acting idols,” Rossetter wrote in the THR column. And it didn’t stop when the shows ended. At parties, Rossetter said that whenever Hoffman took a picture with her he would put his hand around her rib cage and then grab her breast just before the picture was taken. “Only by luck do I have one such picture – where the camera caught him in the act,” Rossetter wrote. That picture is included in the THR column. Rossetter said she finally got her chance to confront Hoffman one night, she pushed him against a wall and screamed, “F— you! How would you like it if someone did that to you before you walked out on stage every night, Mr. Method Actor? Leave me alone!” Rossetter said he left her alone for three days, and then went back to groping her. The actor was then confronted by HBO’s “Last Week Tonight” host John Oliver at a benefit screening of “Wag the Dog” on Monday about the first allegation against him. A woman alleged that when she was 17 years old and a production assistant on the set of the “Death of a Salesman” TV movie, Hoffman groped and sexually harassed her. According to THR’s editor’s note in the column, Hoffman’s representatives declined to comment but brought forth individuals who worked on “Death of a Salesman” and did not witness the conduct described in the column. The people who came forward include Hoffman’s brother-in-law (and assistant at the time) Lee Gottsegen, actresses Anne McIntosh, Debra Mooney and Linda Hogan, actors Michael Quinlan and Andrew Bloch, and production stage manager Tom Kelly. Business Insider contacted Dustin Hoffman’s representative for comment but did not get a response. Read the entire column in The Hollywood Reporter.